Period: 1900-1930: Early 20th century	Categories: 1900-1930: Early 20th, Pairs of Chairs Ref: 25852. 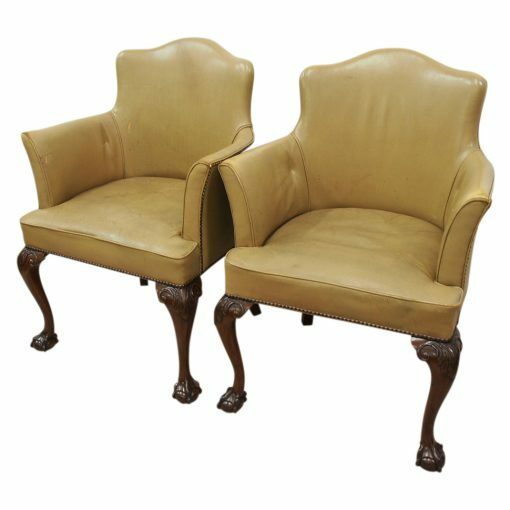 Circa 1920, pair of George III style leather club chairs. 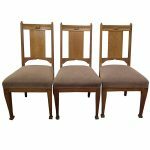 Upholstered in piped leather to the front and close studded beading to the back, and a stuffover seat, all standing on out swept, tapering legs to the back. The front legs are carved with acanthus leaves to the top, with quarter brackets and C scrolling, finishing on ball and claw feet.